The purpose of this article is to take a look at five of the better helmets on the market to determine what makes the best karting helmet. To do so, we’ll look at construction, price, and utility in order to help consumers figure out which types of helmet work best for them. Riding a go-kart can be fun, but safety always needs to be of a significant focus. While karting might seem like a simple hobby, anything that happens at high speed makes it possible for disaster to strike. That’s why it’s so important that you have a helmet when karting – and that your helmet can actually keep you safe in the event of an accident. This light-weight, durable helmet from ILM features a pair of different visors and an easy-breathing design for extra comfort. It’s a simple helmet to be sure. On the other hand, the low price point and solid design make it an easier starter for anyone serious about racing karts outside. This model also provides a degree of noise reduction, which makes it perfect for those who are bothered by loud noises on the track. It’s short on special features, but it’s proof-positive that simplicity can get the job done when it comes to protection. 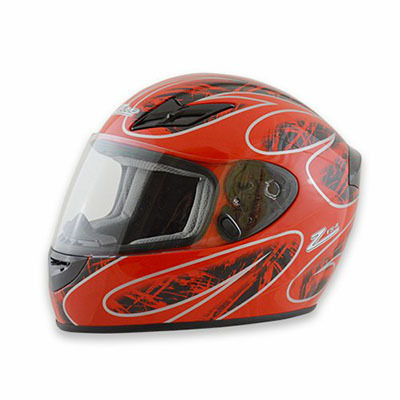 WOW’s Full Face Helmet combines great aesthetics with an incredibly comfortable interior design. This is one of the cool-looking helmets on the best karting helmet list, with a great glossy finish that most racers will love. 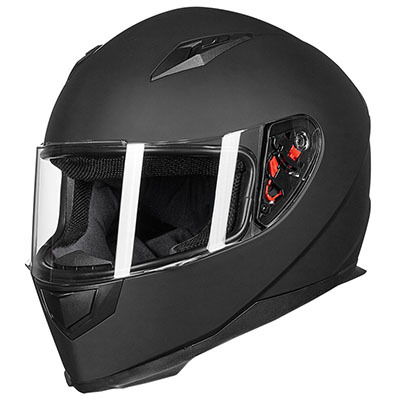 What’s more important, though, is that this is an incredibly comfortable helmet that’s very easy to wear and even easier to keep clean. 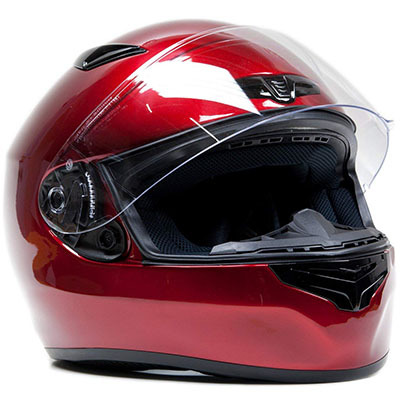 The WOW helmet provides an adequate amount of protection even at high speeds. This performance is largely due to an over-engineered design that is more geared towards motorcycles than go-karts. If you’re looking for good-looking protection, this is the helmet for you. speed protection, it’s almost-guaranteed to keep you safe from head trauma while racing go-karts. While the design may not look like anything special, this gear manages to be both safe and comfortable at the same time. The washable interior is a plus, especially for those who race frequently. 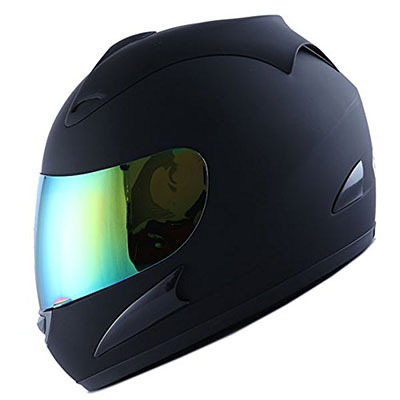 On top of that, the extra ventilation makes it much more comfortable to wear than the average helmet. Typhoon’s Snell M215 is a good contender for the best karting helmet. It features an aerodynamic design that helps racers on the track. At the same time, it still provides enough protection for those who prefer to go off-road. 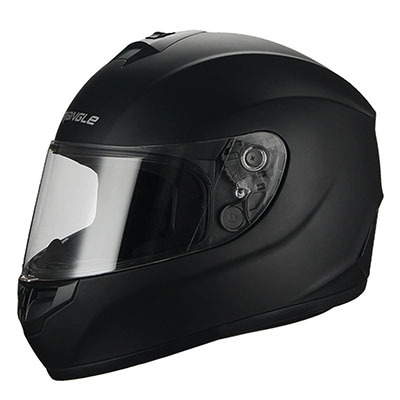 Moreover, it’s a good -looking helmet that even ships with an extra visor as a spare part. Solid all around, it’s exactly what you’ll want if you’re looking to stay safe and to look good while racing. The Zamp FS-8 is the best karting helmet for those who want something with a larger field of view. This great helmet will keep you safe while you’re racing, of course. Nonetheless, it will also allow you to see everything on the track at the same time. Well-constructed and crash-tested, it’s also very comfortable. The ventilation users find in this helmet is top-notch, while the padding will help you to keep your cool while you are on your kart. Simply put, this is one of the best helmets out there today. In addition to having the best karting helmet, you can stay safe by keeping your go-kart in good condition. Go-karts take significantly more maintenance than most realize, especially if you want your kart to stay in racing condition throughout the seasons. The types of maintenance that you have to undertake are not terribly difficult. Nonetheless, they must all be done regularly. Kart maintenance should always start with a quick walk-around. Look to make sure that all moving parts are still in good condition and that there is no debris gumming up the works. Once you’ve got that done, you can begin to lubricate any moving parts, adding and/or changing out the oil, and checking on the carburetor. Make sure the battery is in good condition and that any chains are still lubricated and in one piece before racing. Before you put your kart away, make sure that it’s in a safe and dry place. Maintenance checks need to double if you haven’t raced in some time. This work shouldn’t take more than a few minutes every time you pull the kart out. However, skipping it can lead to major problems. The best karting helmet will vary from rider to rider. However, the list above presents five outstanding options. As long as the helmet fits, this vital gear part provides a good field of vision and can protect you in a crash. These features may not seem like much, but they form the core around which all great karting helmets are built. If you know about these helmets, don’t keep your information to yourself – get in contact with us today! blog from my new apple iphone! Just wanted to say I love reading through your blοg and lo᧐k forward to all your ρosts! Keep uⲣ the excellent work!